We'd like to think we were and, if you ask our Roundhay based customers, they'd probably say we were. That's because we focus on quality AND affordability. For over 30 years we've been plying our trade in and around Roundhay and have, in that time, worked on every conceivable type of roof. 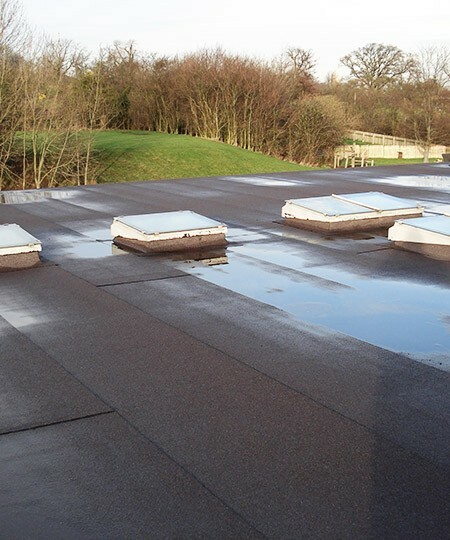 We can help with flat roof issues as well as standard pitched roofing. In short, we’re a roofer you can depend on. Whatever your needs, from replacement fascias and soffits to a complete re-roof, we can help. Simply contact us and take full advantage of our no-obligation free quotation service. That is not an exhaustive list. If you've got any kind of roofing issue, we're the team to call. We've worked hard to ensure that our reputation is incredibly strong and, in Roundhay, we're recognised as a skilled roofing firm. Our many customer testimonials confirm this. Why not call us to discuss your roofing needs, whatever they may be and however simple or complex they are. We'd be delighted to help. When you want quality and value from your roofer, call us on 0113 370 9095.